Projects with smaller ticket sizes are still in the minority. Dubai was once synonymous with luxury real estate. The city has come a long way today, with products catering to different segments of the market. Affordable housing has gained momentum in Dubai. However, high loan-to-value ratios still make it hard for middle-income end-users to get a foot on the property ladder. But, some developers have taken the onus on themselves and have come up with flexible post-completion payment plans which require buyers to pay a small amount as down payment and a big chunk on completion. “When we look at Dubai, we see the industry having a barbell shape [emphasis at the top end in the form of blue-ribbon communities such as Palm Jumeirah, Emirates Hills, Downtown Dubai, Dubai Marina, Dubai Hills, etc., and at the bottom end such as International City and Discovery Gardens] and far lower choices in the mid end of the spectrum. 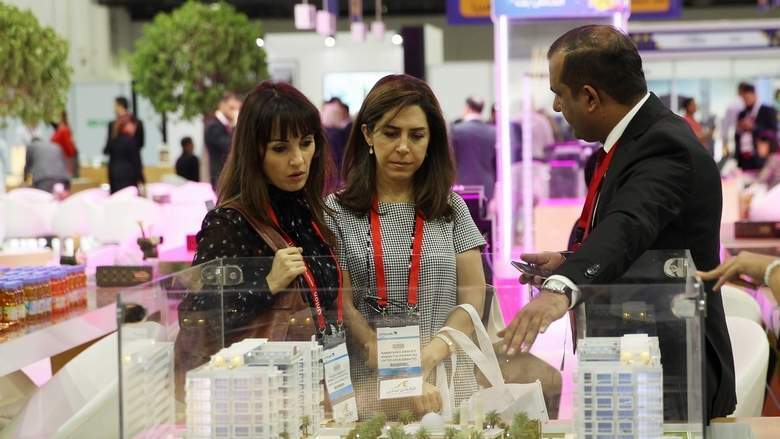 This has started to change in recent years with the development of communities such as Sports City, Jumeirah Village, Arjan, Majan, Dubai Silicon Oasis, etc.,” said Sameer Lakhani, managing director, Global Capital Partners. In an environment of falling rents and prices, certain communities are being populated faster than others where developers are competing attractively in terms of price and payment plans. “Such communities for example include Al Furjan and Sports City and the data shows that investors and end-users have responded to these incentives,” he added. Danube Properties has been one of the pioneers of affordable housing in Dubai with their unique payment plans. “Affordable homes are the need of the hour in the UAE and the GCC that cater to the largest population segment. Future growth in real estate will come from the middle-income households – those who have been priced out of the system. In order to make home acquisition more affordable, Danube Properties introduced a one per cent monthly payment scheme that makes home buying more affordable and eliminates the need for bank finance,” said Atif Rahman, director and partner of Danube Properties. Consultancy JLL defines an affordable home as around Dh800,000 for a 2-bed apartment. “If you look at the projects being launched today, there aren’t too many in that price bracket. There is still more to do in the affordable space,” Craig Plumb, head of research, Mena at JLL, told Khaleej Times. There are projects in Dubai for the range of Dh400,000 and lesser, but they are in the minority. There is a lot of people in that segment who want to purchase property but find it difficult to put together the 30 per cent deposit. “Schemes or incentives like rent-to-own would open up a huge segment of people who may now be renting property and would want to buy but may never manage to come up with the 30 per cent deposit. For an apartment worth Dh500,000, you are looking at Dh150,000 as deposit. The person who is buying this may be earning less than Dh15,000 a month. That involves saving for several months together,” observed John Stevens, managing director, Asteco. Affordable projects in the ready space are Discovery Gardens, International City, Jumeirah Village Circle, Jumeirah Village Triangle, Silicon Oasis and Remraam. In the off-plan space, Emaar’s Collective feature affordable co-living spaces. Dubai South, Town Square, Arjan and Jumeirah Village are also upcoming areas with affordable supply. “No developer can ignore affordability if they want to reach out to end-users. Investors are also looking for affordable properties since they can rent it out more easily than luxury housing,” said Sailesh Jatania, CEO of Gemini Property Developers. Overall, all housing has become more affordable in Dubai. “Projects that were earlier out of reach for individuals has now become more affordable. The Palm Jumeirah is more searched for by renters,” according to Daniel Hart, CEO, Masterkey. There is also the debate about whether affordable housing is of good quality. Developers are trying to make apartments affordable by making them smaller. There is a move to smaller living and communal spaces globally. This trend has been seen in Dubai as well and is a natural response to the rise in land prices over time. “Ten years ago, a one-bed apartment in the Palm Jumeirah spanned about 900 to 1,000 sqft. Now, one-beds range between 600 to 700 sqft. Developers want to make the best use of space,” explained Matt Gregory, head of sales – property, dubizzle. It’s also a typical move for some developers to compromise on quality when it comes to mid-income housing. “What happens is that the smaller and less quality conscious developers get weeded out over time. And so we get a dynamic whereby the boutique developers in the mid-income space are also the ones where quality consciousness generally rises,” added Lakhani. “Quality of an apartment is paramount and cannot be compromised in a city like Dubai. The development guidelines take care of this partly. Also, the customer today is well-informed and well-researched. Dubai sets the trend of an acceptable threshold of quality. A quality delivery is the best brand building,” said Sailesh Israni, director of Sun and Sand Developers. The cost of construction has varied drastically over the years. “The best way to counter that is to make spaces smaller and more efficient. A lot of developers have reduced carpet area but made the rooms higher to give the impression of more space,” informed Hart. Developers can’t risk their reputation by missing a delivery date or providing a bad quality product, remarked Ann Boothello, director of marketing, dubizzle.